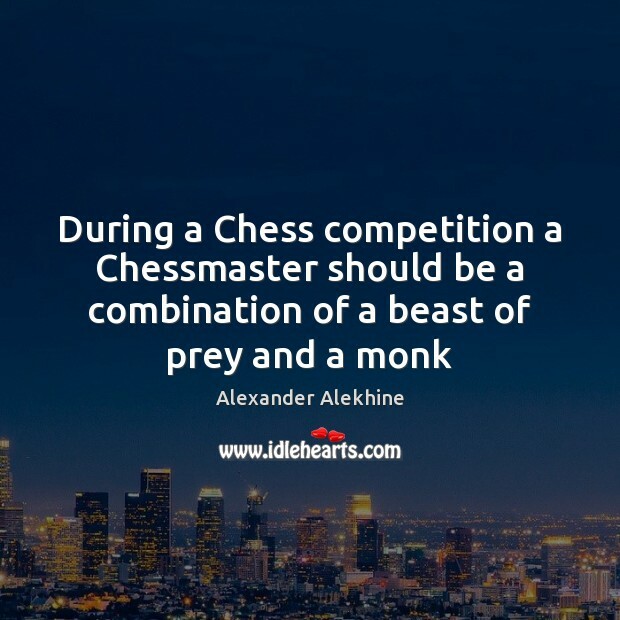 Enjoy the best inspirational, motivational, positive, funny and famous quotes by Alexander Alekhine. Use words and picture quotations to push forward and inspire you keep going in life! 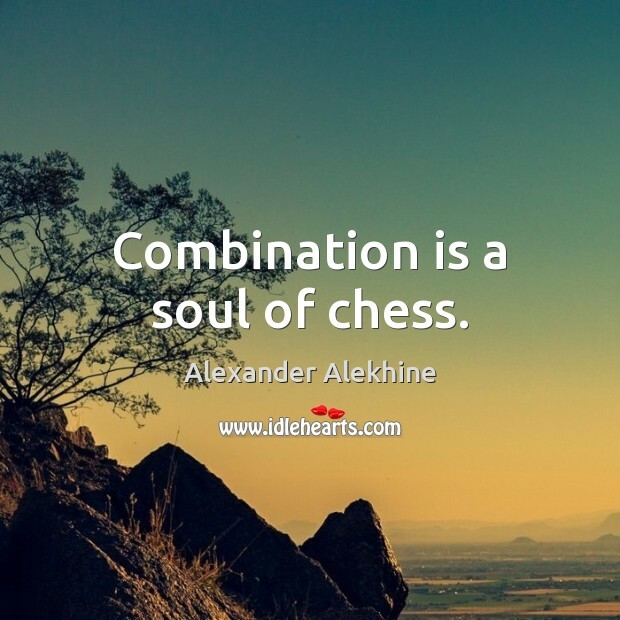 Combination is a soul of chess. 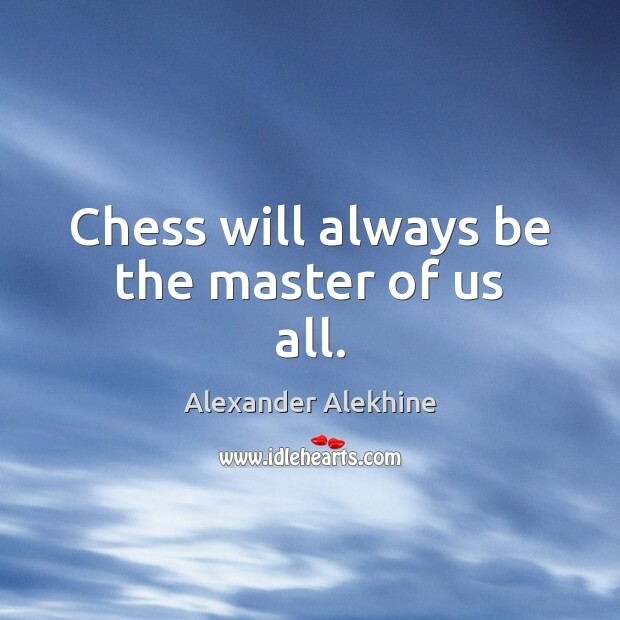 I do not play chess – I fight at chess. 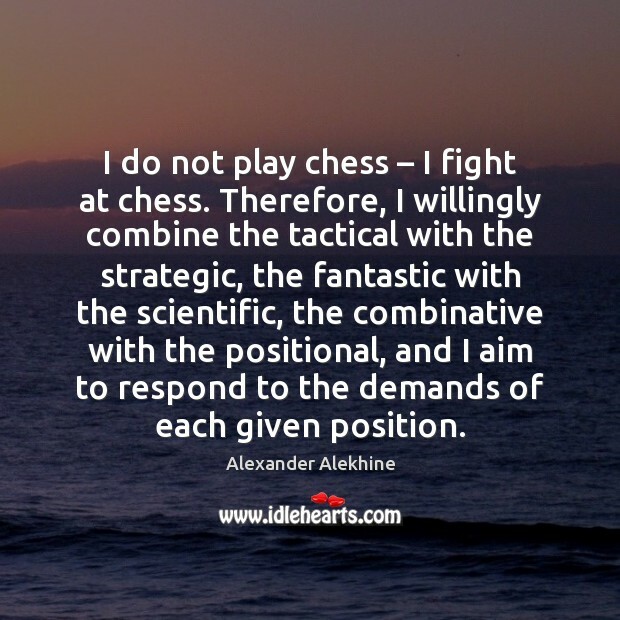 Therefore, I willingly combine the tactical with the strategic, the fantastic with the scientific, the combinative with the positional, and I aim to respond to the demands of each given position. Deux fous gagnent toujours, mais trois fous, non! 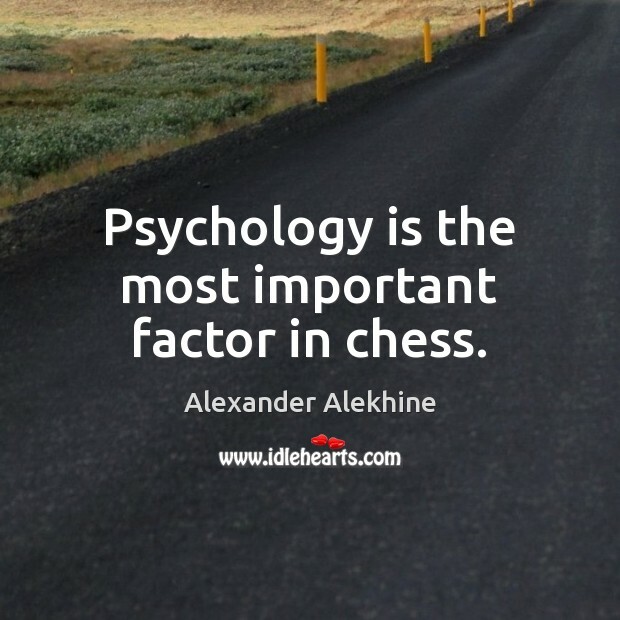 Psychology is the most important factor in chess. I did not believe I was superior to him. 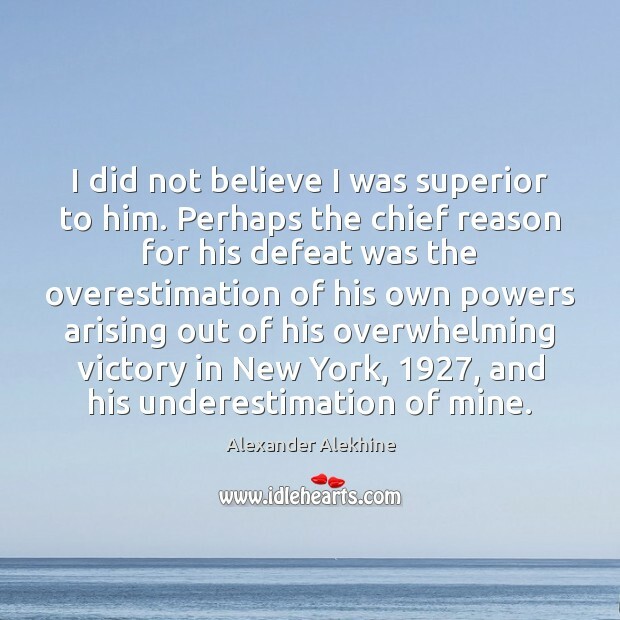 Perhaps the chief reason for his defeat was the overestimation of his own powers arising out of his overwhelming victory in New York, 1927, and his underestimation of mine. Young players expose themselves to grave risks when they blindly imitate the innovations of masters without themselves first checking all the details and consequences of these innovations. 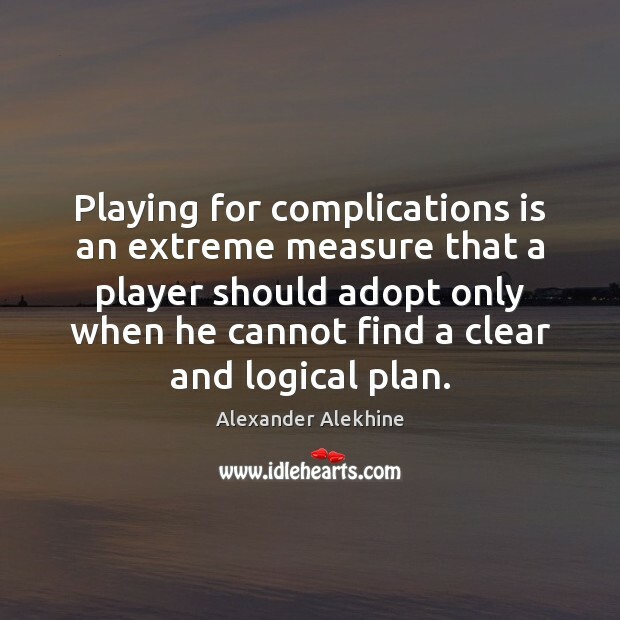 Playing for complications is an extreme measure that a player should adopt only when he cannot find a clear and logical plan. 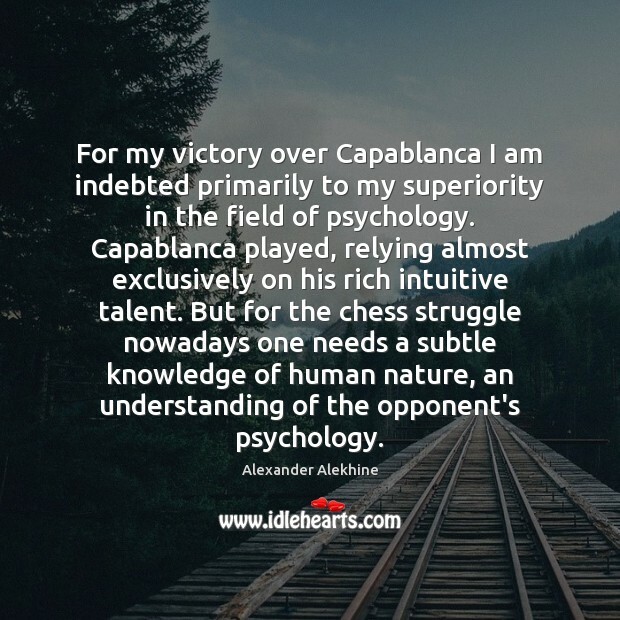 For my victory over Capablanca I am indebted primarily to my superiority in the field of psychology. Capablanca played, relying almost exclusively on his rich intuitive talent. 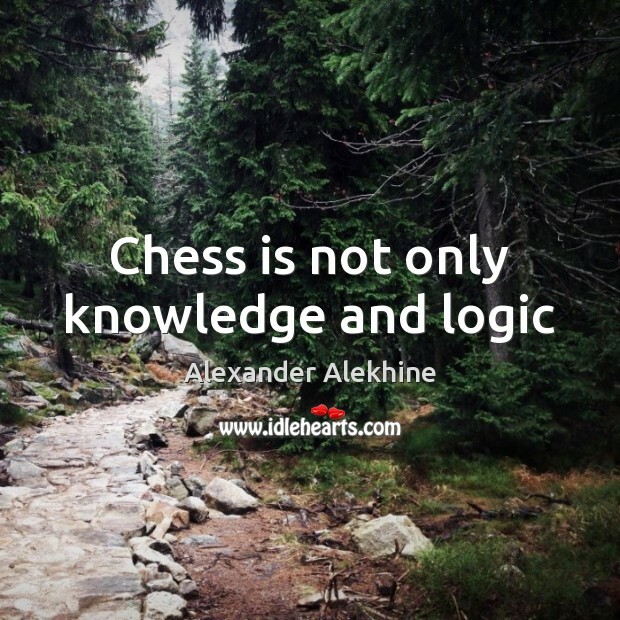 But for the chess struggle nowadays one needs a subtle knowledge of human nature, an understanding of the opponent's psychology. 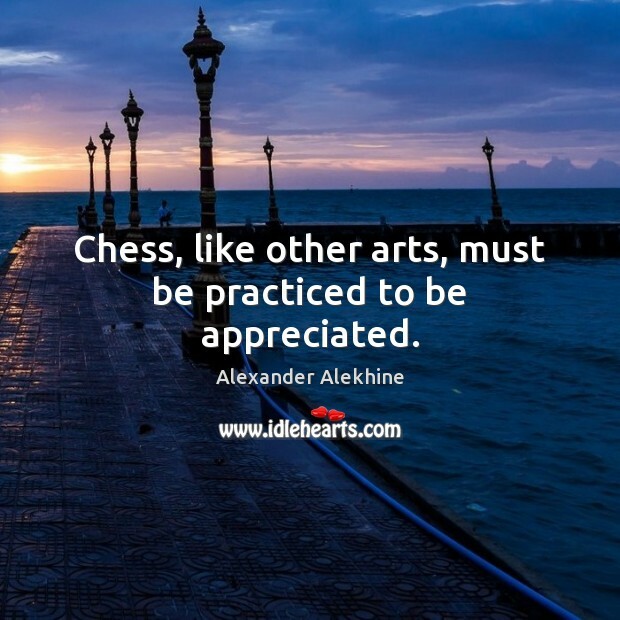 Chess, like other arts, must be practiced to be appreciated. 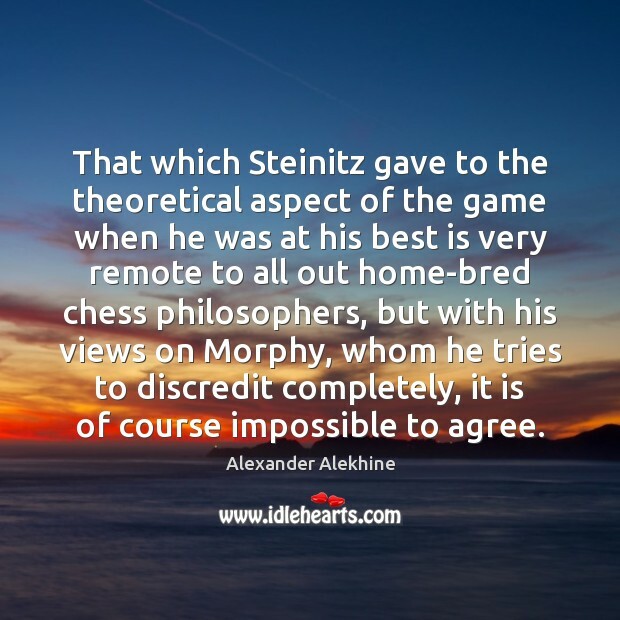 That which Steinitz gave to the theoretical aspect of the game when he was at his best is very remote to all out home-bred chess philosophers, but with his views on Morphy, whom he tries to discredit completely, it is of course impossible to agree. 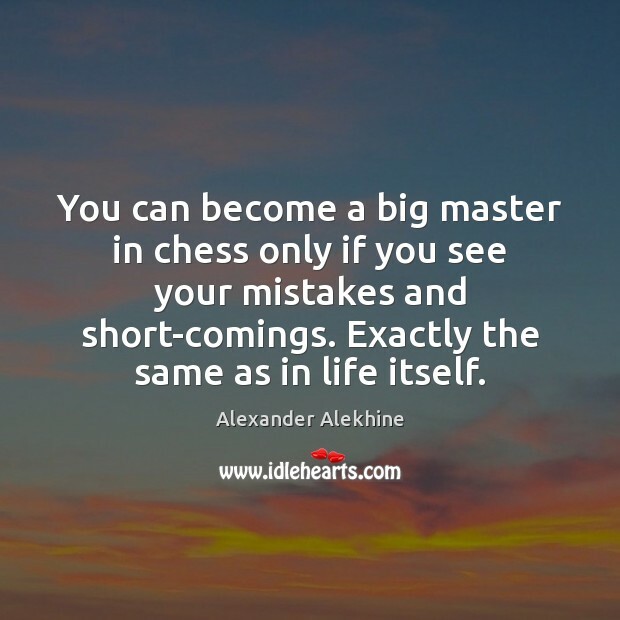 You can become a big master in chess only if you see your mistakes and short-comings. Exactly the same as in life itself. 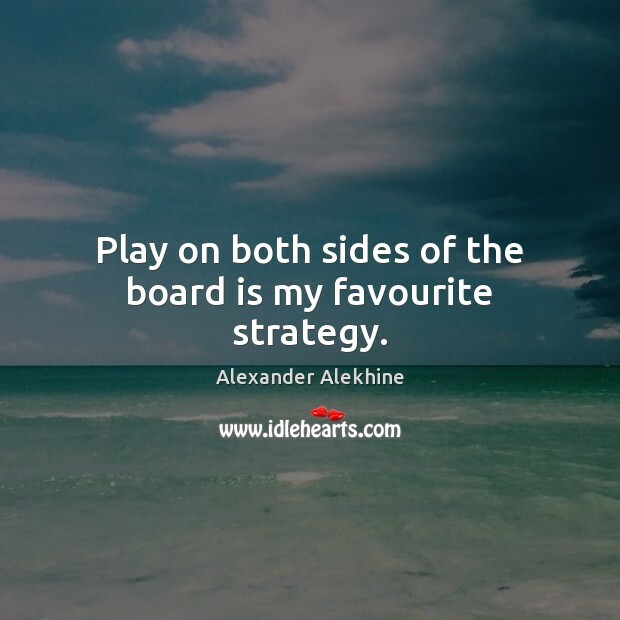 Play on both sides of the board is my favourite strategy. 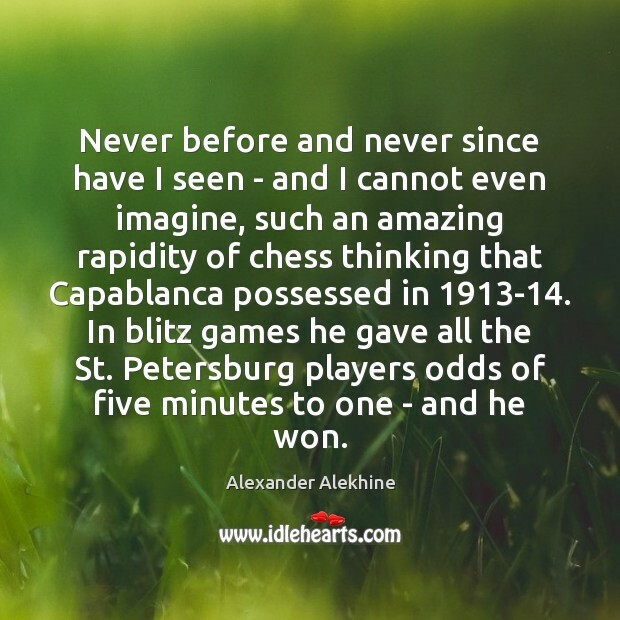 Never before and never since have I seen - and I cannot even imagine, such an amazing rapidity of chess thinking that Capablanca possessed in 1913-14. 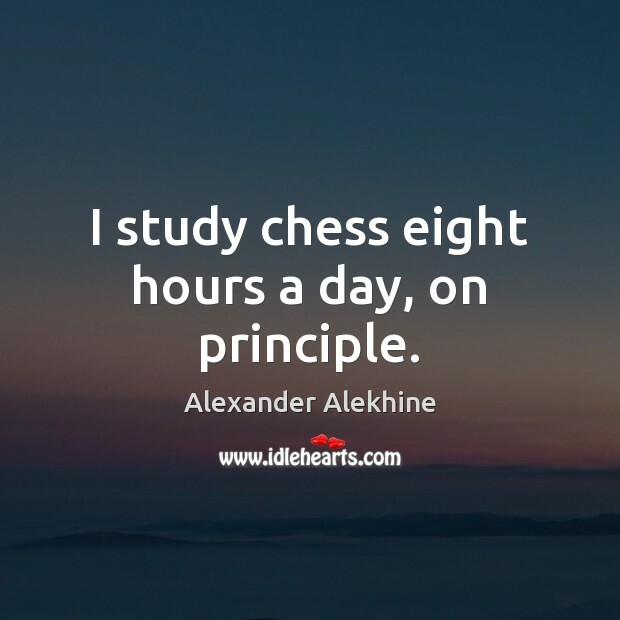 In blitz games he gave all the St. Petersburg players odds of five minutes to one - and he won.